I typically don’t eat a lot of jam, mostly because when I do I often find it too sweet, usually to the point where the sugar overwhelms any taste of the actual fruit. Such a waste. I prefer less sugar in my diet and want to make jam in a way that most enhances the fruit’s flavour. But making jam is truly a scientific endeavour, where the chemical reaction of the ingredients completely influences the finished product, so adjusting the amount of sugar in regular recipes simply does not work. 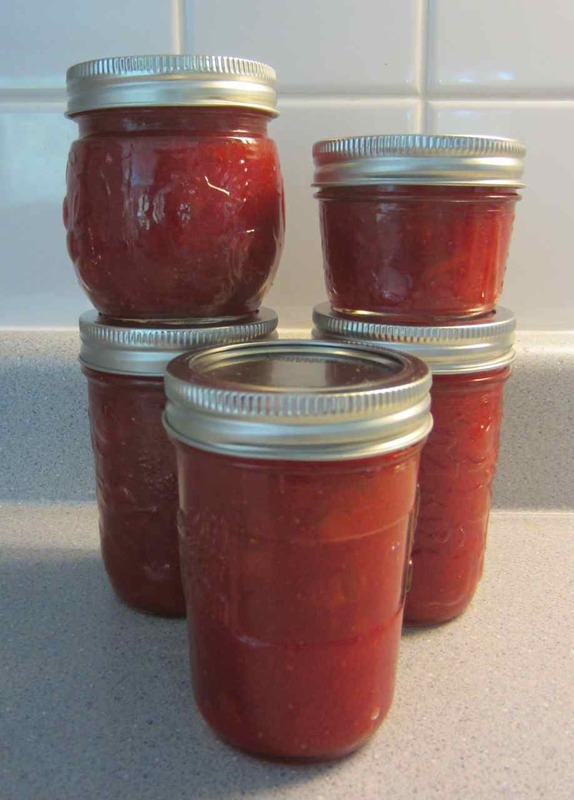 This entry was posted in Food, General and tagged Bernardin, Certo, homemade jam, homemade strawberry jam, jam, low sugar jam, no sugar jam, pectin, Pomona's Universal Pectin, strawberry jam, strawberry rhubarb jam on June 24, 2014 by local delicious. 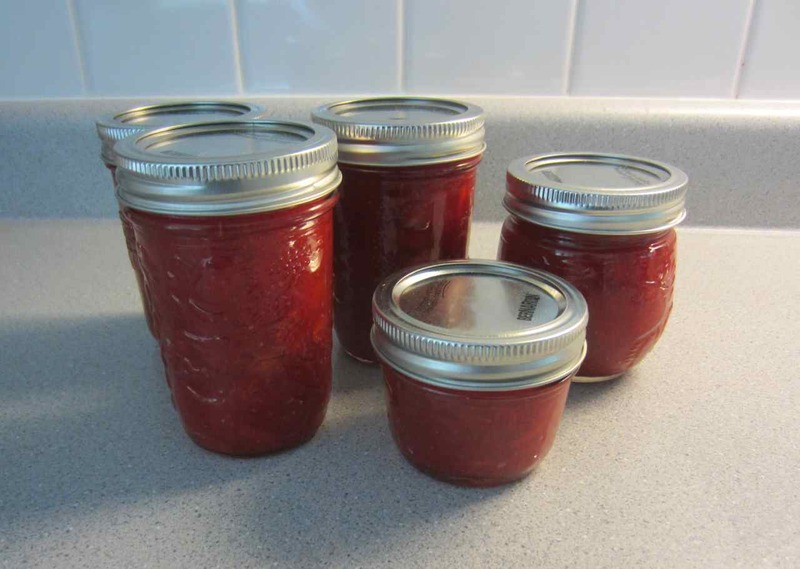 This entry was posted in General and tagged home canning, homemade strawberry jam, mason jar, rhubarb jam, strawberry jam, strawberry rhubarb jam on June 21, 2014 by local delicious. Chemicals, n: Noxious substances from which modern foods are made.